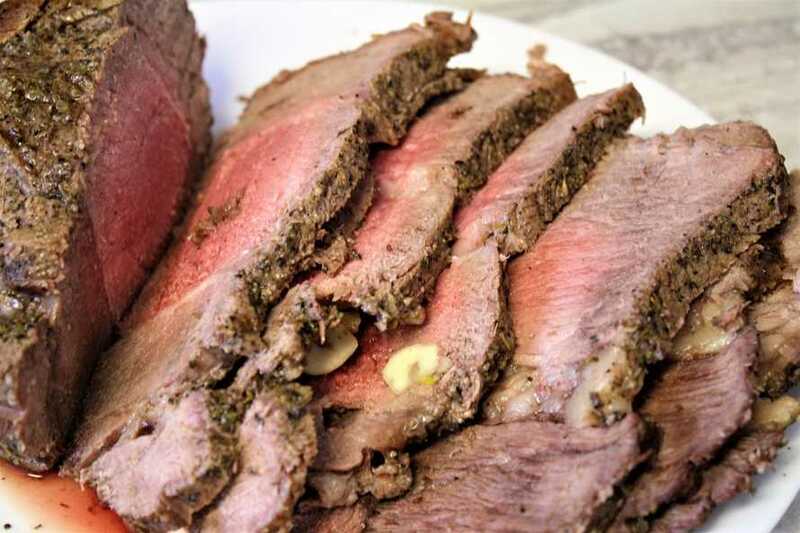 Bergy's Perfect Roast Beef Oh Yum!!! 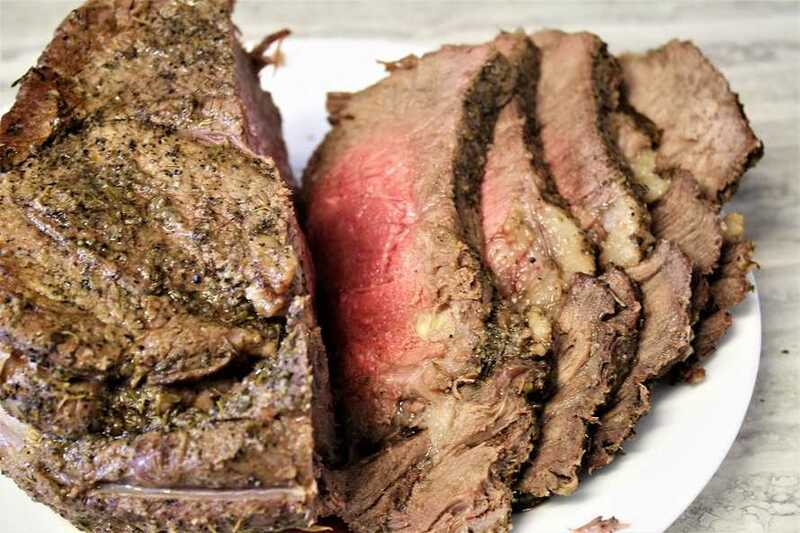 I used a 3 1/2 pound sirloin tip roast and this turned out perfectly moist and delicious. I used thyme instead of rosemary because hubby is not a fan of it and omitted the potatoes and carrots as hubby wanted mashed potatoes with this. I also inserted a bit of the garlic right into the roast before roasting. I used the juices to make a gravy that I thickened with a water cornstarch and slurry, mmmmmmm, I will definitely be making this again, fantastic recipe. The photos are not the best but the recipe sure is!!! Re: Bergy's Perfect Roast Beef Oh Yum!!! Nothing wrong with those photographs Bea and that roast looks done to perfection! Your roast photos look great to me and just like I love my slices! So I am not the only that inserts some garlic right into the roast ... I can almost taste that roast beef! Thanks Bea for the gorgeous photos & review - Much appreciated. The roast looks perfect - just the way I like it! Thx Lee, it was deelish. We really enjoyed this, thx.